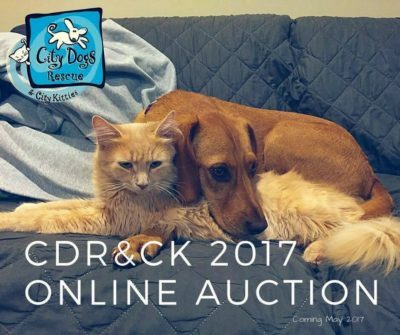 For the third consecutive year, 9pm Studios is proud to have the opportunity to support the City Dogs Rescue & City Kitties Annual Online Auction. This year’s auction showcases artists, restaurants, theaters, sports, media, and small businesses from across the District of Columbia metropolitan area. From wine tasting in Virginia’s rolling hills to sessions with expert pet photographers, and items from many popular retailers, you’re sure to find something you love while helping to save dogs and cats from overcrowded and high-kill shelters. Among the hundreds of items up for auction is $500 worth of 9pm Studios consulting services, including web design, digital marketing, branding, and graphic design. Snag one of our two $250 vouchers up for grabs by bidding here and/or here. Bidding is open until May 22 at 11 pm. City Dogs Rescue & City Kitties is a 501(c)(3) non-profit organization based in Washington, D.C. that rescues animals from overcrowded and high-kill shelters. CDR & CK rescues and provides care for over 1,000 dogs and cats a year. It is paramount to the shelters who rely on our help every day that we continue our efforts in saving lives so all these dogs and cats can be given the second chance at life that they deserve. Vet care, transportation, and other expenses can easily reach $600 per animal and our adoption fee is only $395. Fundraisers like this are of critical importance to saving lives. 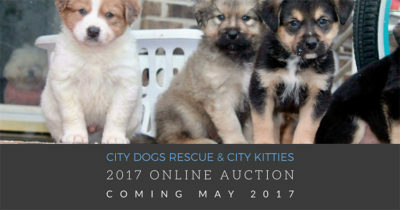 Last year, our online auction raised about $50,000 for our organization, and we are hoping to significantly exceed that amount this year to support our mission of rescuing dogs and cats in urgent need. Chosen for inclusion in the Catalogue for Philanthropy as “one of the best” community-based nonprofit organizations in the Washington, D.C. area. Recognized for our strong community of volunteers and highly successful social media efforts in the Washington Post and Washingtonian.